Recently I wrote about German company HufHaus and their luxurious prefab homes. An owner of a similar company in the USA sent me a note telling me about their modular homes. 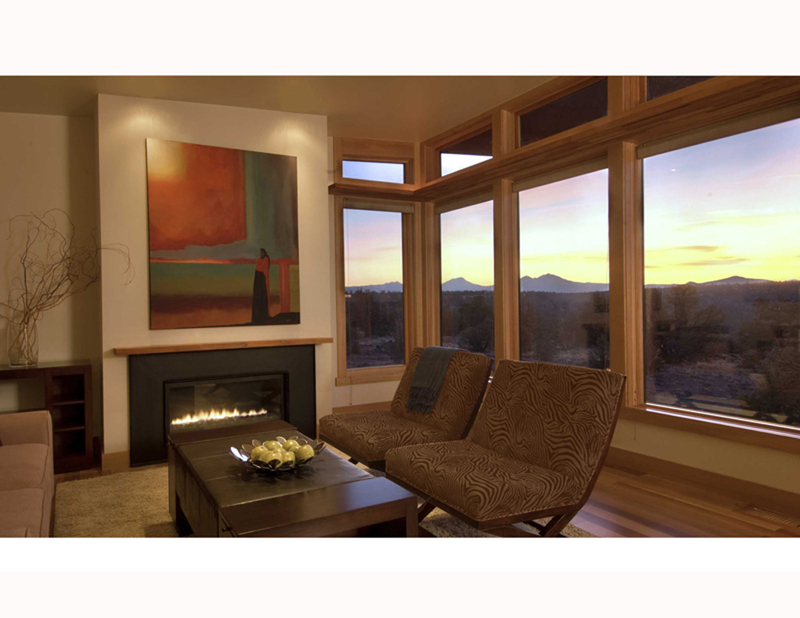 Founded in 2008, Stillwater Dwellings is a Seattle-based company that designs and builds high-quality, prefabricated, contemporary homes featuring quality materials, fine detailing, and eco-friendly features. Most homebuyers want input and choice but find the infinite combination of decisions overwhelming. To make it easier for customers the company introduced three base packages, each of which is modifiable. The Natural Package is simple, warm and refined, with abundant natural wood surfaces; the Modern Package is clean and minimalist; and the Fundamental Package is stylish, fun and durable. During the design phase clients receive a comprehensive stylebook with an image of every item that goes into the house. Clients go through the stylebook with a Stillwater Dwellings designer who will answer questions and describe the options, modifications and substitutions available to tailor the home design and make it their own. All 3 style packages include a high level of green and sustainable living features: low VOC paints, dual flush toilets, ultra-high efficiency heating and hot water systems, natural wool carpeting, sustainable wood flooring, eco-friendly Marmoleum, engineered quartz slab countertops, over-insulated walls/ceilings/floors, and high-efficiency windows with argon gas and low-e film. This entry was posted in Design, designers and online finds, Unusual homes and tagged Architecture, design, home designs, modular homes, prefab homes, Stillwater Dwellings. Bookmark the permalink. Wow, this is a great post. I have never seen a prefab home look this gorgeous before. They’re normally not nice looking. I wonder if it’s expensive. Lovely homes, I want one! Please show more. You know what also would be cool (less design than this of course, but still)? To import the prefab swedish wooden houses. The yellow ones, I like a lot.